The Voice coach and American Idol winner is taking on a new role as talk show host, according to The Hollywood Reporter. The songstress is supposedly working on a syndicated daytime series with producers from NBCUniversal Television Distribution. Clarkson is filming a pilot and the show is anticipating a fall 2019 debut. No particular network is attached at the moment. The devil is afoot in the latest teaser for American Horror Story: Apocalypse. Although short, the trailer includes nuclear explosions, an hourglass, one creepy fetus, fallout victims, and that all-too-familiar American Horror Story theme music. Of course, the clip also references the show's September 12 premiere. The eighth season of the FX drama is a crossover of previous seasons Murder House and Coven. Netflix released the first trailer for its limited series Maniac, starring Emma Stone, Jonah Hill, Justin Theroux, and Sally Field. The preview features trippy scenarios as Stone and Hill's minds are messed with by Theroux's character, a scientist conducting experiments. It seems that Stone and Hill's characters are drawn to one another as they enter an ever-changing dream-like realm. Tag along for the ride when the show premieres Friday, September 21. Danny Nucci is heading to ABC's new Nathan Fillion-starring series The Rookie. 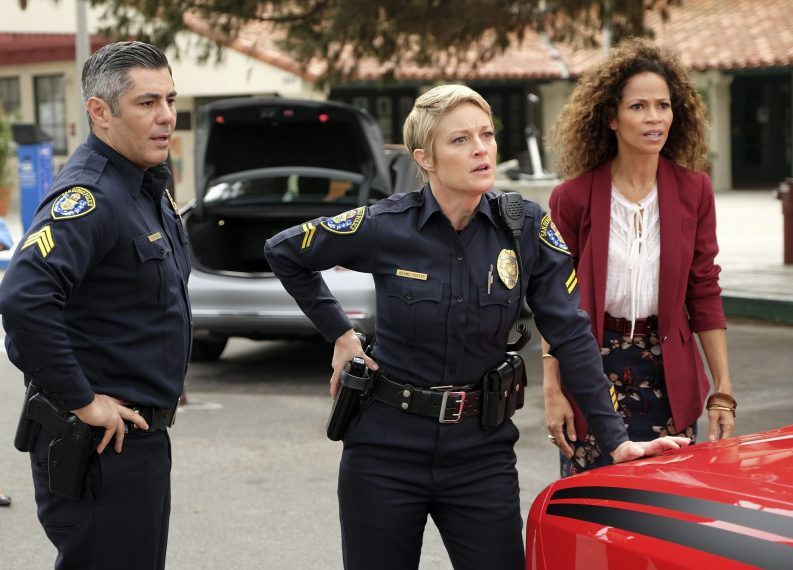 According to Deadline, the actor, who is known for his role as Mike Foster in Freeform's recently-retired series The Fosters, will appear in a recurring capacity as a major assault crimes detective named Sanford Motta. The show is slated to premiere on Tuesday, October 16. Wonder Woman star Gal Gadot may be coming to TV, as the actress is said to be eying Showtime's Hedy Lamarr biopic series. Variety reports the serioes about the Hollywood actress who was also a noted inventor — she created a "frequency-hopping signal" that could interfere with radio controlled torpedoes during World War II — would be run by The Affair's Sarah Treem. Executive producing the project would be Warren Littlefield, best known for executive producing hits like The Handmaid's Tale and Fargo.